There is always a learning curve to master anything. Be it art, music, and even Photography. Learning something new requires patience, dedication, and purpose. To master the art of photography, you need more than just a DSLR. 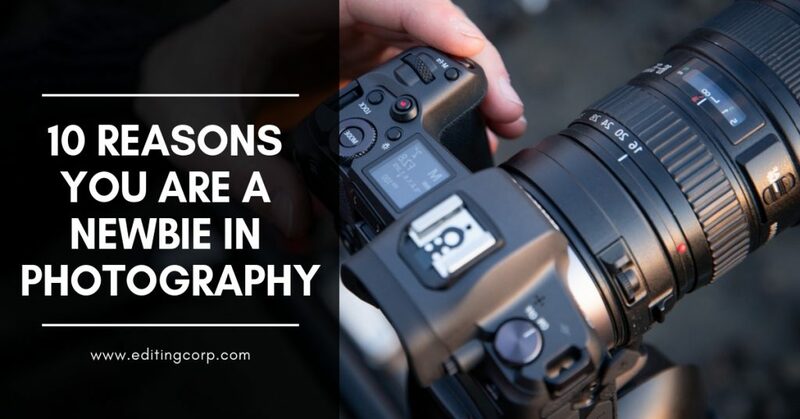 Below you’ll find 10 reasons why you are a newbie in photography and what you can do to transform yourself from a newbie to a professional. If you believe an expensive camera will make you a professional photographer, you are a NEWBIE. A camera captures images, but the person behind it make those images. 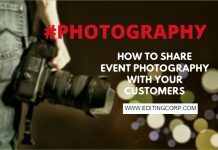 It is very easy to pick up a camera and click the shutter button, but it takes a lot more than that to make good and professional looking images. You don’t need to spend a lot of money on your first camera. 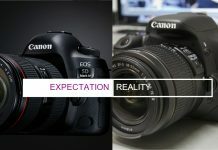 Go for a beginner or a semi-professional DSLR. Or maybe just use your cellphone camera. 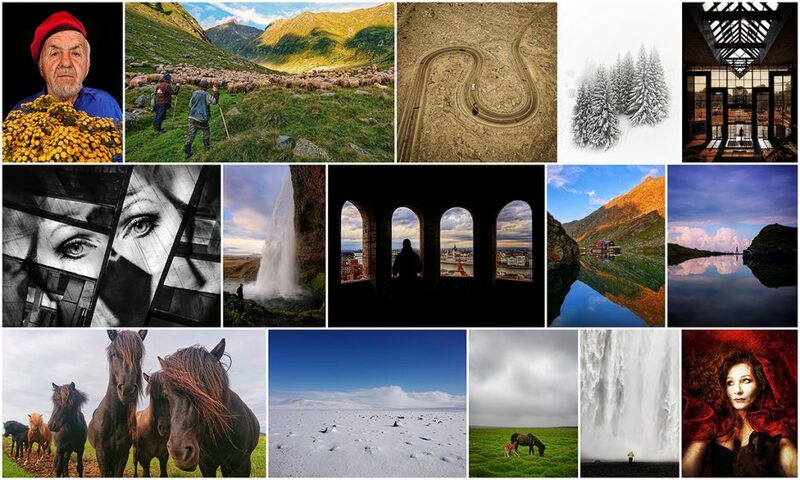 Some of the best and award winning photographs are taken with a phone camera. Image Courtesy – Mobile Photography Awards 2018 Grand Prize Winning Photographs. What separates an amateur from a pro photographer is that pros always shoot MANUAL. The Auto Mode in your DSLR is a good way to start off with but is not at all beneficial in the long run. Most modern DSLR’s are equipped with a light meter. When in AUTO, your camera detects the amount of light coming in through the lens onto the sensor and automatically adjust the shutter speed, Aperture and ISO. The Auto Mode might give you a well exposed shot but you have no control on the overall mood of your image. Such as the amount of background blur, Whether you want to portray motion or freeze the entire shot. The intensity of noise and grain due to low lighting conditions and so on. So do yourself a favour and turn that camera mode dial to M (manual mode). This allows you to change shutter speed, aperture and ISO value individually. There are plenty of resources on the web where you can learn how to shoot in Manual or use one of the web applications to get start with Manual mode. If you really aren’t familiar with composition techniques, you are far far away from becoming a better photographer. There are tons of composition techniques that you should master along with gaining all the other technical knowledge and know-how. 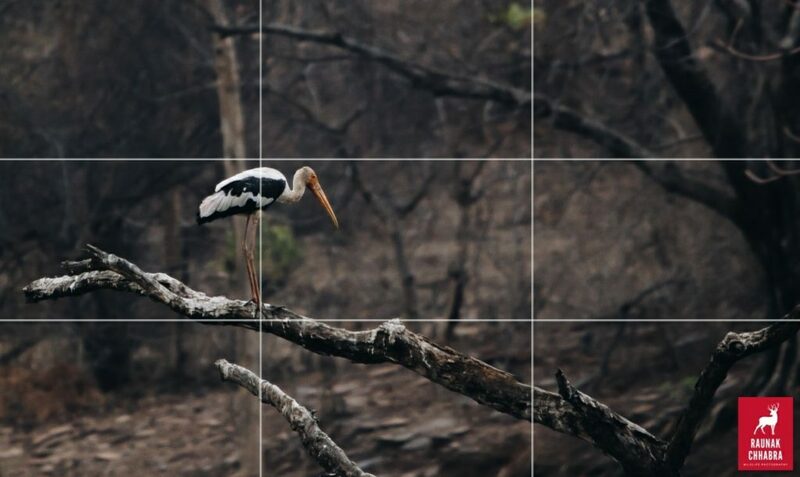 The rule of thirds is one of the first things that you need to learn to improve the way you compose your shots. The use of leading lines will also be critical, especially for improving perspective. The rule of thirds involves dividing up your image using 2 horizontal lines and 2 vertical lines, as shown below. You then position the important elements in your scene along those lines, or at the points where they meet. A rule of thirds grid. Important elements (the bird, and the trees) are positioned along the lines and at the intersections. Image by Raunak Chhabra. An off-centre composition is more pleasing to the eye and looks more natural than one where the subject is placed right in the middle of the frame. Without light, we have nothing; but the correct use of lighting is fundamental in photography. Understanding it and making the best use of it is vital to producing those special images. Light is the single most important thing in your images. It is what can bring the image to life. It is the lighting that will give the image its own distinct look and feel and it defines how the subject is lit. When you understand lighting, you are just like an artist, free to create the image you want from the palette that nature supplies. While your camera sensor is the brain, the lens is the heart of your camera. In fact, it is the most important thing. One of the best thing to do is to invest in high-quality lenses. If you can’t afford, RENT IT. Both Sigma & Tamron manufactures high quality lenses for both Canon & Nikon cameras. These third party lenses are relatively less expensive but often produce high quality and sharp images. Make sure you include a 50mm lens in your kit. 50mm focal length is a very versatile range and when used on full frame yields a normal perspective and field of view similar to what we see from our very own eyes. Pick a lens that is appropriate for the shooting environment and the outcome of the picture that you envision. Shooting your photos in RAW can open up incredible amount of possibility in your post-production workflow. It is essentially an uncompressed file recorded directly off of your camera sensor. Starting with the highest possible quality file can yield the highest possible quality edit. All the extra data makes it much easier to adjust your exposure by many stops. You can recover highlights, open up shadow detail and more precisely customise white balance. JPEG records 256 levels of brightness, and RAW records between 4,096 to 16,384 levels. The effects this has on your image is huge. It’s also easier to avoid or correct posterization in your images when you shoot in RAW. Posterization is the banding that you often see in bright skies, which really doesn’t look good in prints! It’s easier to work through large batches of images when you’re using a workflow centric program like Lightroom. It is designed to easily process groups of RAW images. In order to take full advantage of all the benefits of Lightroom you should be shooting RAW! A professional will always try to shoot against the sun. Shooting into it will result in lens flare and loss of contrast. The sun can also burn your camera sensor or cause eye damage if allowed through the lens for long durations. Avoid using the viewfinder, and in particular, never point a telephoto lens at the sun. But there are other creative ways to get spectacular results while still shooting into the sun. This article might help you out: How To Shoot Into the Sun And Produce Beautiful Lens Flare. What separates a good landscape picture from a bad one is how straight the horizon is. When capturing a landscape, always try to keep the horizon as straight as possible. Enable the grid on your camera or use the built in electronic level indicator. You can also correct the horizon in post with Lightroom with the Straightening/Angle tool. John Batdorff Photography has a YouTube video where he shows us how to straighten an image in Lightroom. The biggest mistake you are doing is shooting handheld in low light situations. To compensate for the exposure, you increase the ISO value way over the acceptable limits. What you get is either an under exposed or noisy images..
To click good and noise free pictures in low light, just use a tripod and go for long exposures. Decrease the shutter speed and set your ISO between 100-800. Depending on what you have to work with, your shutter speed can be anything from 1/60th of a second to several minutes. The main thing to keep in mind while deciding on the correct exposure is how to capture both the shadows as well as the highlights. If you are successful in obtaining the right shadows, you will be able to produce an excellent low light scene that will win you compliments. All you need is a sturdy tripod to stabilise your camera firmly, thereby avoiding blurriness in your pictures. We recommend the AmazonBasics 60-inch Portable Tripod as an excellent entry-level option for taking long exposure captures. People don’t print their work enough and there are so many benefits that comes from printing your photographs. Just by printing your images, you understand your photography so much better. You will see things that you would never have seen if your photos weren’t printed. It looks completely different when you see a print in person that you’re holding in your hands. Printing your photos is like seeing your own physical work as something tangible, instead of just a file. 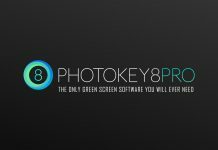 I urge you to try it out because it really helps not only in round you out as a better photographer, it also helps you understand photography better. It’s a part of the process that’s a little bit lost these days.